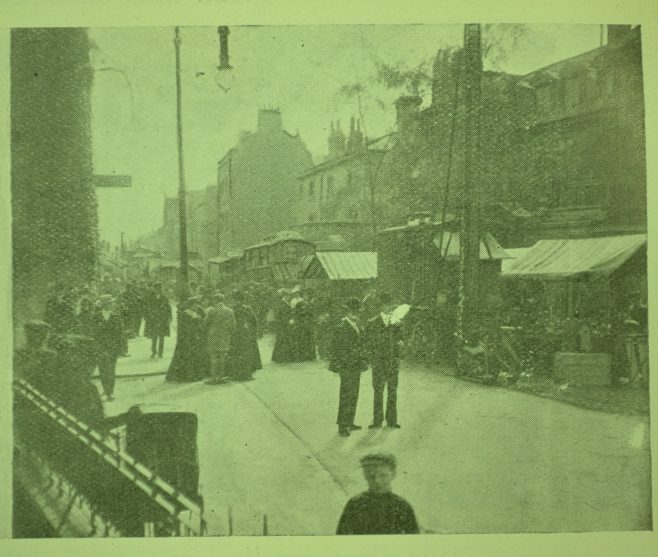 The top two photographs appear in the Cheltenham Chronicle and Gloucestershire Graphic of 3rd October 1903. The Graphic is available to view at Gloucestershire Archives. 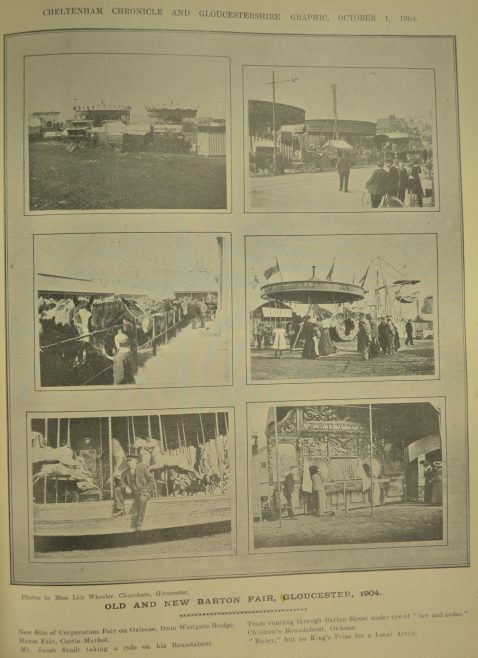 We are grateful to Dave Bailes for identifying all the images on this page. You can see larger versions by clicking on each image. 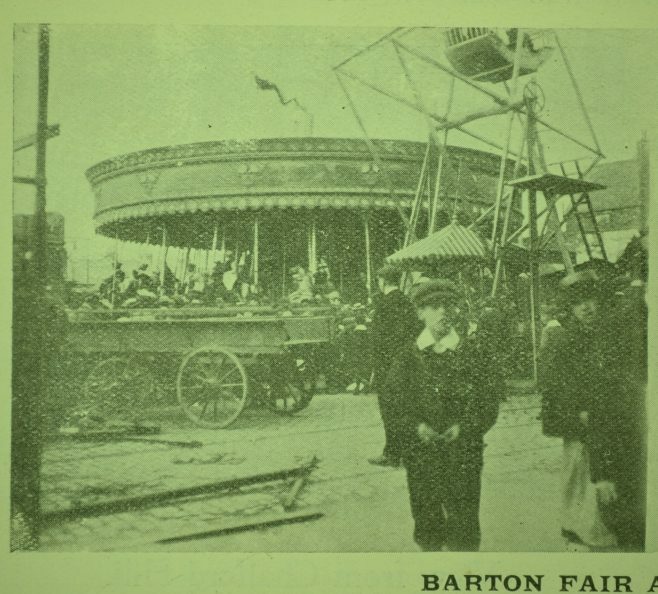 The 1904 edition of the Fair seems to have been held mainly on the Oxleaze, with a horse fair taking place at the old Cattle Market, so only one of the views in the montage below definitely shows Barton Street. A larger version of that image appears below the montage, and again you can make it larger still by clicking on it. 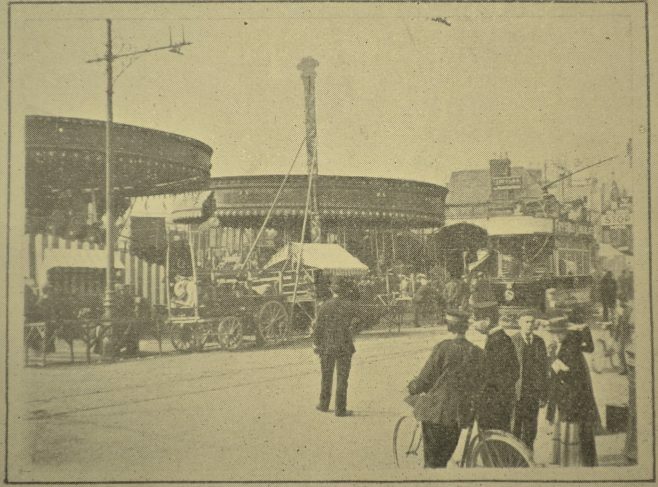 These images are taken from the Graphic of 1st October 1904.